The Committee reasons that conferring embryos the same status as an “existing child” is harmful and can impose unnecessary burdens on embryo recipients. For example, adoption elements such as home studies and judicial proceedings are “appropriately absent” from embryo donation, which is first and foremost a medical process. Additionally, for the last fifteen years, the Committee has taken the position that embryo donation more closely resembles human reproduction than it does adoption. The Committee perceives embryo donation as a “fundamentally medical procedure intended to result in a pregnancy,” thus warranting its distinction from adoption. 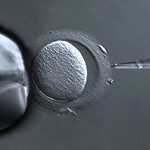 Although embryo donation is a medical procedure, it involves legal elements as well. For example, an embryo donation agreement is highly recommended and encouraged. Therefore, it’s imperative that Intended Parents consult with an experienced reproductive law attorney before embarking on this journey.